Despite the recent rumours, it's probably unlikely we'll hear about GTA 6 for many years to come. Of course, there's no doubt that it is in the works at Rockstar... somewhere. It's only been six months or so since Red Dead Redemption 2 came out, so don't get too excited for a GTA 6 announcement anytime soon. That's kind of Rockstar's usual forte. GTA 5 was announced in November 2011, over 17 months after Red Dead Redemption was released in May 2010. However, despite the lack of official news, that hasn't stopped a plethora of GTA 6 rumours emerging. They obviously range from the entirely plausible - a game set across multiple US locales - to the utterly ridiculous - its set in the future. Don't fret though, we'll run you through the most notable leaks and speculations so far, to hopefully guide you to a less crazy predicition of what GTA 6 might look like in terms of setting, release date, structure and more, based on historical precedents. Listen below for an in-depth discussion about GTA 6 from the @GTAVoclock team, who accurately predicted large elements of GTA 5 back in 2012. The conversation from the 42m 42s mark about a 'deeper' vision for open worlds is especially relevant in light of Rockstar's recently confirmed plans for Red Dead Redemption 2. What has Rockstar said about GTA 6 on the record? “We don’t know what GTA 6 will be, but we’ve got some ideas,” said Benzies in the interview. “We’ve got about 45 years’ worth of ideas we want to do. We’ll pick the right ones. It comes from the idea first. Where it is going to be set is the first question. That then defines the missions; you’re doing different things in LA than in New York or Miami. The map and story get worked up together, and the story is a basic flow of how it works out so you can layer the mission in." Of course, Benzies didn’t give much away about what form GTA 6 will take and recently left Rockstar North in fairly acrimonious circumstances. However, it’s unlikely that Rockstar will rip up the GTA series’ tried-and-tested development process, where building a world comes first with characters and structures layered on top. GTA 5 was created by 1000+ developers based across studios worldwide, so it’d be a brave move to change the template. In fact, it’s probable the location is already set: we spoke to a software provider at E3 2015, speaking under discretion, who suggested work on GTA 6 was already well underway. Without google searching for the answer, it doesn’t sound like the sort of thing anyone would know by heart – but your approach to tackling the question, reveals a lot about the potential accuracy of the prediction. How might the future of GTA look in virtual reality? Why LA Noire in VR is a gently confusing miracle that might point to the future of Grand Theft Auto. In short, it’s possible to ‘chunk’ the question into more estimable parts e.g. What’s my guess at the population of Chicago? On average how many people are in each house? How many houses might own pianos? How often do they need tuning? A logical mind might land upon a figure of 200-300 piano tuners (as outlined in the link above). The actual answer is 290. So, while GTA 6 is unknown, it is not composed of unknowables. You can apply historical precedent, personal insight (into its creators), snippets of interviews, CV searches and an overlay of societal – and technology – trends, to form a clearer picture. Predicting GTA 6 isn't a pure 'Fermi Problem', in that it isn't a solely quantitive issue, but the structural approach is relevant. When will the GTA 6 release date be? Long story short: if Rockstar had confirmed GTA 6 the day after Red Dead Redemption 2 came out (October 26, 2018 - put it in your diary), then based on historical delays between console GTA announcements and release, we’d be waiting around 22 months – so August 2020. In reality, Rockstar didn't do that, and has already said don't expect to hear anything in 2019 at all. That means that a ‘Fall’ 2020 release sounds more probable. You can see the gap between announcement and release for previous GTA console games below (we’re ignoring the handheld versions). We've approximated some dates, but this table shows you the gap between 'Announcement' and 'Release' of GTA games, plus the time elapsed between major entries. It is, of course, entirely possible Rockstar might try to minimise the window between announcement and release – but that runs contrary to everything we know about pre-release hype cycles and the drive for pre-orders. As physical stores continue to decline, however, a ‘surprise’ digital release remains a more viable, if absurdly bold, consideration. Even if GTA 6 launched right now, that would mean a 67 month gap between GTA 5 and GTA 6. The previous biggest gap was 47 months, between The Ballad of Gay Tony and GTA 5. If the launch date was Fall 2020, which feels more likely, that gap would be nearer 83 months between GTA 5 and GTA 6 i.e. almost seven years, which is longer than an average console generation. Gaming analyst Michael Pachter, talking to Gaming Bolt, doesn’t think we’ll see an announcement before 2020, or release until 2021. He cites the eight year gap between Red Dead Redemption and Red Dead Redemption 2 as precedent. Where will GTA 6 be set? Didn't the former Rockstar North President once talk about a GTA World? If history was to repeat, Vice City or Liberty City feel like the most likely candidates for a return… but it’s possible the game will explore new locations, which feels likelier in light of expectations set by GTA Online i.e. the world won’t get smaller. 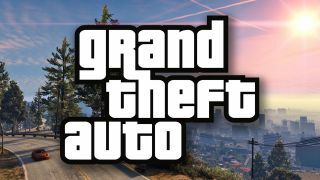 Speaking to Rockstar’s Leslie Benzies in 2013, via the YouTube GTA show GTAVoclock, he stated that the ambition for GTA Online was “To grow this world until it’s the world. We’re just going to add on new things to it, new places all the time”. A snippet from the GTAVoclock interview with Leslie Benzies in 2013. Five years on, it’s clear that GTA Online hasn’t followed this path, with the recent Doomsday Heist proving one of the most significant updates in years, but only adding interior locations, missions and vehicles; not new states or countries. Leslie Benzies left Rockstar North officially in Jan 2016, but has been on sabbatical for most of the prior 17 months, so it’s fair to assume his influence was less critical from mid 2014 onwards. However, it’s worth considering how much of what Benzies claimed in 2013 remains true: “The only limitation is the size of the disc and how much memory we’ve got. We could, if we wanted, simulate the entire world, different countries, whatever”. Rockstar might revisit familiar locations first, he claimed: “Whether we do that or not… but we’ve got a bunch of old stuff that we’re toying with using”. Vice City, Liberty City and Alderney are obvious candidates, but have yet to materialise. 2019 is an interesting year for a number of reasons, but namely because it could be the year that we see PS5 and Xbox Project Scarlett. With the lifecycle of both the PS4 and Xbox One basically coming to an end, it's looking more and more likely that GTA 6 will be a next-gen release. It may well do a bit of a GTA 5 and release on PS4 and Xbox One at the same time as the new consoles, but all the focus should be on optimising for whatever hardware beasts Sony and Microsoft pull out of the bag. Will there be a GTA 6 PC release? GTA 5 and GTA 4 both eventually made their way to PC, so you'd hope that a GTA 6 PC port is on the cars. It may well be that it's not a simultaneous launch, but that extra bit of polish and development time has paid off so far, so hopefully PC fans are willing to wait a little bit again. GTA 6 rumours: Which are the most credible so far? GTA Online's The Doomsday Heist featured flying cars, but was a fantastical leap tonally from the single-player story. There was a rumour / fan fantasy that GTA 6’s storyline will be more sci-fi than other games in the series, with one of the game’s mechanics allowing time travel, according to a report by Christian Today. Yes, there have been strange sub-quests in GTA games before, but none quite as unrealistic as time travelling. This rumour comes via a report from ChristianToday, which doesn’t name its source, but it suggests that teleportation will be possible “within a split-second”. Specific time periods aren’t mentioned, but it might be that you’re rewinding time to previous moments in the hero’s storyline. Could it happen? A story told across time periods? Maybe. Time travel? Highly doubtful. GTA has traditionally opted for a more grounded take on supernatural phenomena, at least until the edge-of-reality GTA Online update The Doomsday Heist, which featured flying cars and orbital lasers. Otherwise, the series has been more circumspect: GTA: San Andreas’ jetpack was retrieved from the game’s version of Area 51, and accessible only very late in the game. GTAV’s – slightly daft – UFO easter eggs are curios outside the core story. Every game in the series is consistent within its time period, with realism key to the game’s storyline. It’s worth noting that teleportation already is in GTA 5 – of a kind – but using a mechanic consistent with its story. The decision to use three playable characters was, in part, a way to allows players to fast-travel across its huge map, without resorting to mysticism or wormholes, Rockstar told YouTube show GTAVoclock. There are fan theories that GTA 6 is going to feature a map that encompasses all 52 of the North American states, rather than one single city. You can read more at gta6grandtheftauto.com but that URL is probably your biggest indication as to how soundly this rumour has been sourced. If – if – the game was set across all 52 states, teleportation could come in handy for your protagonist, so you could be whizz across state lines, rather than zipping between time periods. Fans and bloggers claimed GTA 6 may use similar mechanics to that of Ubisoft’s driving game, The Crew, which spanned the whole country by placing key cities side by side. Could it happen? It sounds entirely plausible that the scale of the game will increase, perhaps with known locations like Los Santos, Liberty City and Vice City… or to encompass more states, or global cities. It’s more likely that the player would fast-travel by plane (like at the end of GTA San Andreas in the Saint Mark’s Bistro mission), or by swapping between characters as in GTA 5, a convenient way to shortcut the player between locations without compromising realism. "I think for us, my gut feeling is, GTA London was cool for the time, but games were more limited then," said Houser. "These days I think we would love to set a game in the UK, set in London, whatever, but I don't know if it would be a GTA game. I think there are plenty of great stories we could tell about the UK, great environments to showcase, great gameplay mechanics that could have a UK bent to them – I just don't think it would be a GTA necessarily." Could it happen? 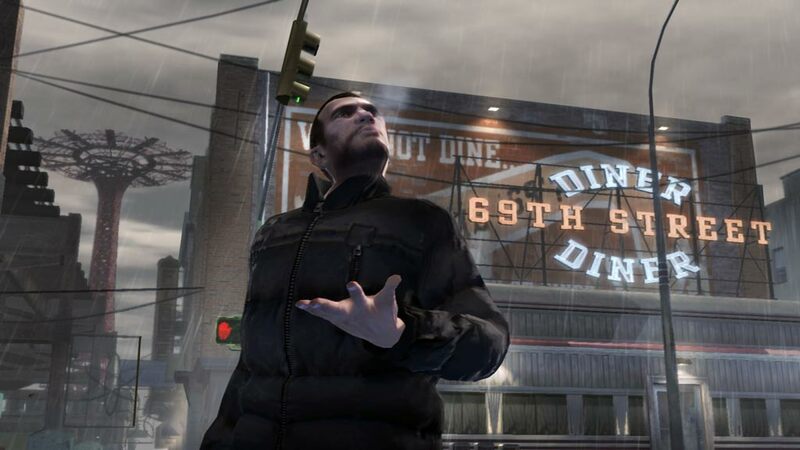 Potentially; not only is London home to Rockstar’s publishing office, but it’s also an area that the studio has visited before with the appropriately named Grand Theft Auto: London, 1869. While Houser might have doubted London’s viability back in 2013, a number of cultural, political and world events might have placed it back on the radar, including Brexit, radical terrorism, high finance (and the global spotlight on rising inequality), Russian non-domiciles and ‘fake news’ / a world run by algorithms (with links to UK-based firms like Cambridge Analytica). However, given the size of GTA’s US audience, it feels like a potentially alienating move, and we’d speculate that London would only appear as part of a wider global collection of cities. According to a source speaking to TechRadar back in March 2016, Rockstar visited the Japanese capital as a reference trip for a game entitled GTA: Tokyo several years ago. Apparently the idea for the game was eventually pulled, but before that the studio met up with locals, took a ton of pictures and wanted to get a good feel for the city before embarking on that particular gaming journey. The source stated that Rockstar was "serious" about a game with a Japanese setting, and even went as far as to trademark the names GTA: Toyko, GTA: Bogota and also, mysteriously, GTA: Sin City back in 2003. That was around the time of GTA 3 and Vice City, but the road system was seen as a problem and was just one of the reasons why the idea was eventually abandoned. Could it happen? If GTA was to move away from the US, it would be a big deal for the series, and not just because Rockstar has set up a number of series staples, like brands, restaurants and fake car manufacturers, that would all have to be redesigned for a Far Eastern setting. You have to admit though, it would look awesome. Aaron Garbut, art director, revealed Rockstar North's approach to world building, during an interview with Develop in 2013: "“We do a lot of Googling and StreetView scoping,” he says. “And some of us – Sam, Dan, Les and I [Sam Houser, Dan Houser, Leslie Benzies] – tend to meet up in the places we are being inspired by and drive around those places and have random chats. “After that we have six to eight people on the design for around nine months to a year. At that point we have a pretty solid blocked in map. We treat the cities like a sculpture and make sure that perspectives down streets look right. And we also make sure that it has the areas we need – both in terms of missions and as a city." A side-by-side comparison of all the major GTA maps by GTAForums member KeWiS. What does all this mean for GTA 6? Garbut talks about how the team spent 'up to four years' in a virtual place, with reference to the creation of GTA 5. Los Santos was the largest game world in the series so far, and you can see all the previous GTA maps compared here. If GTA 6 is trying to replicate all 52 US states, or even a series of cities / regions of comparable size to Los Santos… that sounds like a lot of preparation work, provided Rockstar are working in the same way. Rockstar North are currently recruiting an Environmental Terrain Artist 'to create next-generation worlds for exciting upcoming projects', which could be any game, but the ambiguity is deliberate. We estimated a potential 83 month gap (about 7 years) between GTA 5 and GTA 6, and that would tally with a world double the size of Los Santos… although this a crude approximation and the time could have been spent in all manner of other ways. For example, what if GTA 6 wasn't about scale… but depth? GTA 4 was a smaller, richer, game than GTA: San Andreas, for example; as Rockstar took advantage of the leap from PS2 to PS3. Advances in AI, conversation, destructible environments, interiors (Rockstar North are recruiting an Interior Artist), time and weather cycles would be much more exciting than raw scale… but that's another conversation. Will we finally get a female star as one of the GTA 6 characters? Logic and growing social / political momentum suggests that at least one of the playable characters in GTA 6 will be a woman. In GTA 5, you play as three male protagonists – Trevor, Michael and Franklin – but although there were key female side-characters, you never got to play as one. When asked about this in 2013, Rockstar co-founder and GTA lead writer Dan Houser told The Guardian that the team “didn’t really think about it this time”. Could it happen? Absolutely. Rockstar are never ones to shy from controversy – as if representing 50% of the human race as a playable character could be considered controversial – and there’s growing social momentum (and thus financial imperative, being pragmatic) for a female lead character. However, we’d be surprised if the series’ didn’t offer male players too, based on the multi-character model of GTA 5. Wild guess? GTA 6’s first trailer will suggest that you play solely as a female character – effectively throwing a hornet’s nest into less progressive online communities – before revealing multiple characters down the line. It would make a nice change from the series’ history of Hot Coffee and stripper mini-games for female players. GTA 6 to feature multiple protagonists - with a twist? Another GTA 6 fan theory suggests we'll have multiple protagonists with a twist. Imagine a cops vs robbers scenario, where one of your playable characters is a police officer, while the other is a criminal, aka your average GTA hero. Where did this fan theory begin? Most likely from the GTA Reddit boards and fans who roleplay as cops in GTA Online, but it's also a theory I’d thrown around during an early episode of GTAVoclock, since it would allow Rockstar to explore grey area morality, with no clear heroes or villains (like a playable version of The Wire, perhaps). Red Dead Redemption 2 has only one playable character, Arthur Morgan, rather than the multiple protagonists of GTA 5. Is this a portent for GTA 6? Not necessarily, claim the developer. "We liked the switch system in GTA V and we had a lot of fun with it", Rockstar told jeuxactu.com, "Maybe we will do it again with another game, but in Red Dead Redemption 2, you are this man and you will share his adventure". Could it happen? Potentially. We’d love to see a multi-protagonist option for GTA 6 and there's rich storytelling potential in replaying events from multiple perspectives, even if this isn't as novel as it once seemed. GTA 6 VR – What are the chances? LA Noire on HTC Vive was a tantalising, if more measured, glimpse of how GTA might feel in virtual reality. According to rumours circulating in online forums citing sources in the know (without *sigh* actually citing them), GTA 6 will arrive with full support for virtual reality. No, that’s not just a few missions to play in VR, but rather the entire game, a la Resident Evil 7. Could it happen? Virtual reality hasn’t quite taken off in the way that everyone expected and – technical challenges aside – it feels like a gigantic financial gamble, to aim for such a limited user base. In August 2017, Take Two CEO Strauss Zelnick expressed scepticism around VR, claiming AR was a much more viable alternative in the long term. "The concerns I raised regarding VR are not applicable to AR," Zelnick said. "In order to have an AR experience, you don’t necessarily have to wearing glasses or a headset. You’re not burdened by being a in particular location, and the discomfort factor doesn’t exist, necessarily". However, it’s hard not to see L.A. Noire: The VR Case Files for HTC Vive as a form of test case, and we openly wondered what it might mean for GTA when we previewed Rockstar’s crime noir in late 2017. Best case, GTA 6 might – might – follow the same line as the VR version of L.A. Noire, which offers players seven of the game’s missions rebuilt especially for VR. However, ignoring VR entirely, or opting for AR sounds more likely. Putting it all together, what's our best guess for Grand Theft Auto 6? Combining the most credible puzzle pieces into a single prediction, GTA 6 will launch on a new hardware generation (e.g. PS5) in late 2020 or beyond, set across multiple locations with multiple playable characters, and at least one female lead. GTA 6 will essentially be a 'shell' for GTA Online's rebirth on new hardware, moving the audience from one platform to another. A story element will be retained, on account of the potential outcry at launching a game that acted solely as an 'online playground', but this may – at a stretch – be delivered as a single-player / online hybrid, much like the story component of GTA Online's recent The Doomsday Heist, which was playable in co-op. You cannot overstate the success of GTA Online, which had it biggest year yet in 2017, with record numbers of players in December, according to Take Two's recent earnings call in Feb 2018. GTA 5 has now sold over 90 million copies, but GTA Online continues to be the key revenue driver, with earnings to date estimated at $1.09bn in July 2017, according to analysts SuperData. Follow the money, as they say in The Wire, and GTA 6 can only be an online play. Thematically, GTA 6 will likely tackle global issues of inequality, immigration (although GTA 4 has plenty to say here), terrorism, 'fake news', the rise of autocratic leadership and extreme partisan politics. Technologically, a full leap into VR seems improbable, but don't rule out VR / AR experiments. A more interesting technical leap might be to migrate the game's online community from platforms, to a form of console agnostic cloud server (something GTAVoclock discussed with Leslie Benzies back in 2013), but GTA 6 may still be too early for this to become reality. Visually, you can benchmark the leap from GTA: San Andreas (PS2) to GTA4 (PS3), or look to the work of the PC GTA 5 modding community, and the incredible GTA Redux 'real life' mod. GTA 6's real advances might be in behavioural AI, dynamic time and weather cycles, permanently deformable environments and player stat tracking. Where will GTA 6 be set? Who do you want to play as? Let us know in the comments below or reach out to us on Twitter @GamesRadar or @GTAVoclock.